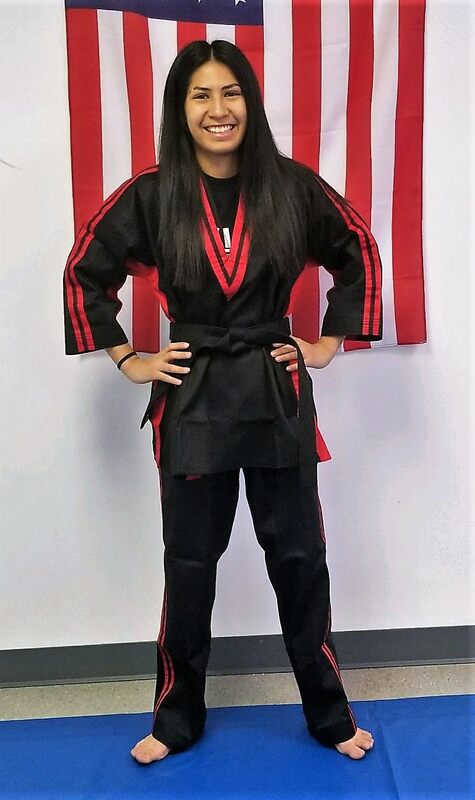 Ms. Ochoa began training with us when she was 9 years old, and has been training continuously since that time! She teaches in our after-school program, as well as in our evening martial art program. All students age 4-6 will start with Ms. Ochoa as their instructor, since she teaches this age group, among others! Ms. Ochoa gets our smallest students off to the strongest possible start in martial arts, while making sure they have a blast doing it!